By Melissa Lennig on July 18, 2013 1 Comment. This content contains affiliate links. As an Amazon Associate I earn from qualifying purchases. Get ready for some epic summer fun! 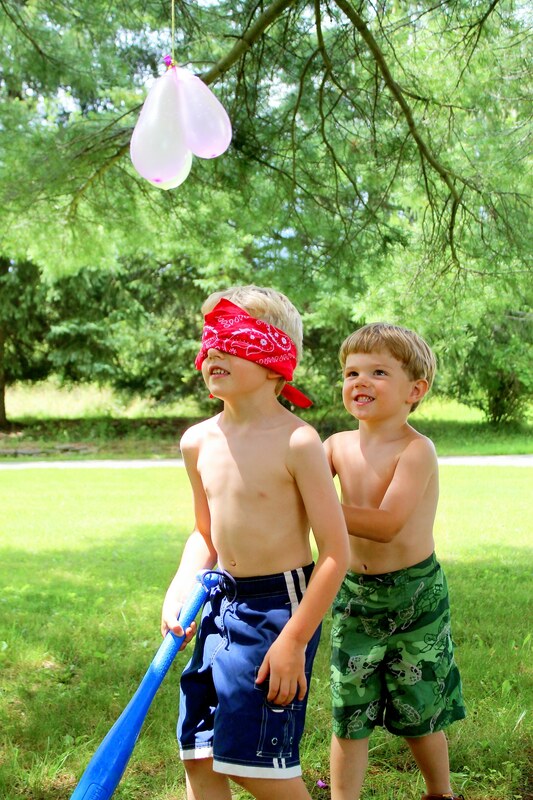 Water balloon bash is a fun summer game for kids of all ages. 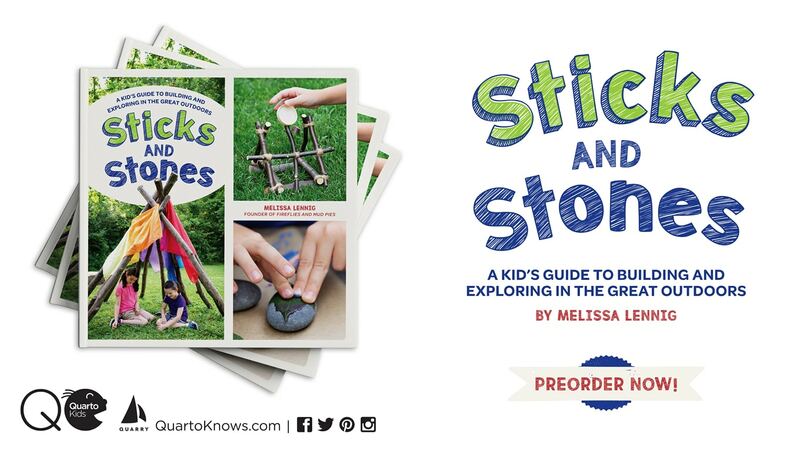 It’s perfect for summer picnics, birthday parties, home, school, or camp. The July heat wave continues! Though it may feel better to stay inside of an air-conditioned building, kids still need a daily dose of fresh air to maintain their physical and mental health. 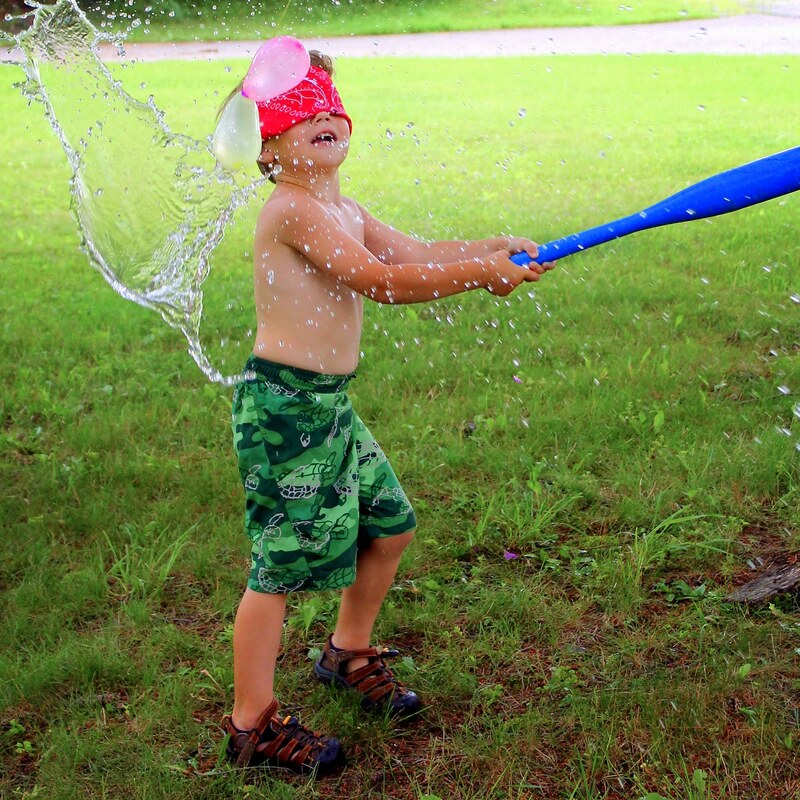 Beat the heat with Water Balloon Bash! I purchased biodegradable water balloons and tied them together in clusters of three with cotton yarn. 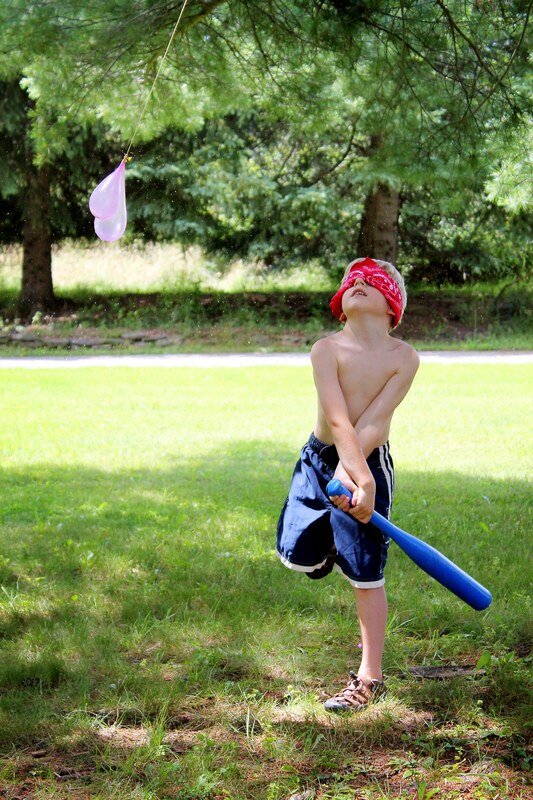 I hung the water balloons from a low pine branch and brought the boys outside to see. They wanted to start bashing the balloons right away with their baseball bat, but I had one more trick up my sleeve before the fun could begin! 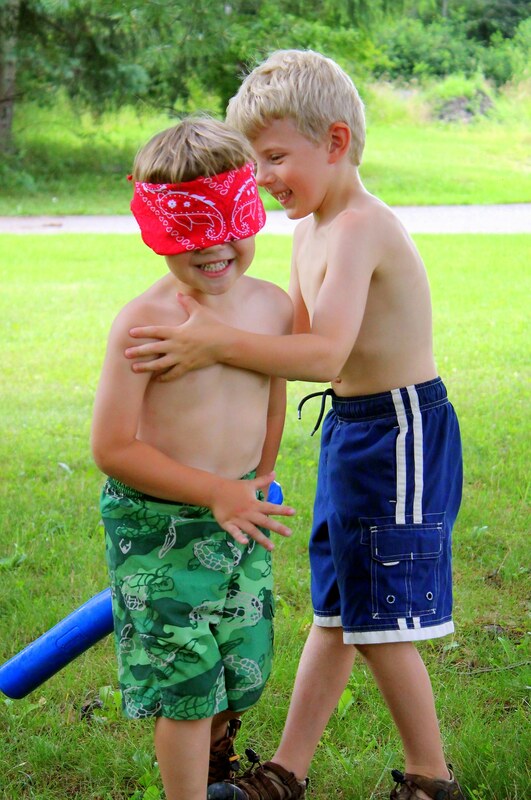 As in classic pinata games, players must be blindfolded and spun before playing water balloon bash. The boys loved spinning each other, but they loved the next part even more! Whack! Splash! Giggle! Screech! Repeat! 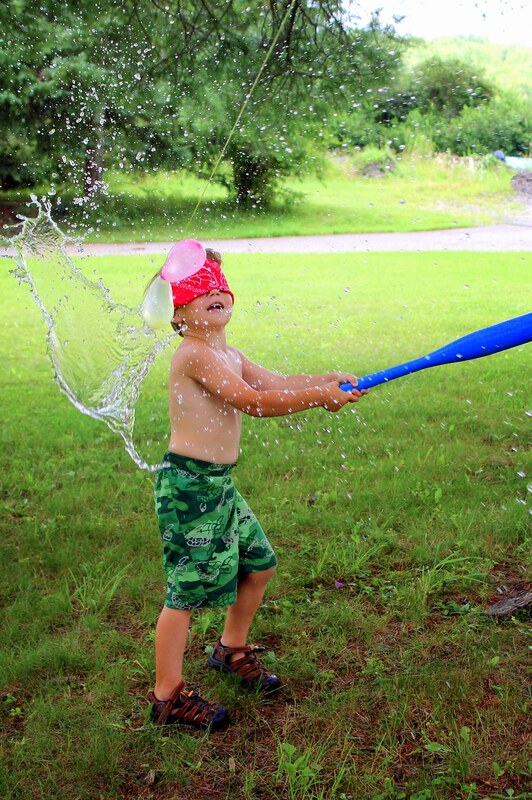 What good fun…and an awesome way to cool off and play outside in the heat of the summer! I love your ideas and can’t wait to try this one! I would like to sign up for your craft newsletter. Thank you.